Travel theme: Modern | Oh, the Places We See . . . 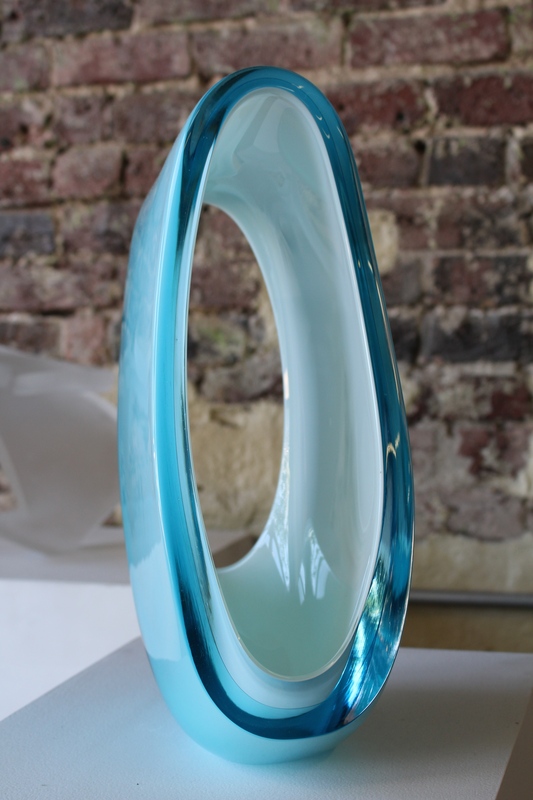 In a previous post about the Matthew Cummings Studio (open during the Dogwood Arts Festival’s Art DeTour), we focused on several modern glass creations that caught our attention. But one in particular — Temporal Blues by Thoryn Ziemba — drew us in for a closer look. Artistic, colorful, fluid — the piece could stand in any museum and draw attention. That is, if someone hadn’t broken into the studio recently and knocked it onto the floor, breaking it to pieces. We’re heartbroken. And the artist has to be feeling a wide range of emotions at this senseless tragedy. Is this a modern problem we are facing as a community? as a society? Shouldn’t we be treasuring art, not destroying it? For more examples from Ailsa’s Travel theme: Modern this week, get to her blog Where’s My Backpack? and take a look. This entry was posted in Tennessee, Travel, Travel Theme and tagged Art DeTour, art glass, Dogwood Arts Festival, glass, glass sculpture, Matthew Cummings Studio, Thoryn Ziemba, Travel theme: Modern. Bookmark the permalink. It had everything going for it — brilliant color, interesting design, flawless execution. Can’t believe that it was gone in a moment. Thanks for reading. Gorgeous piece, and I really feel old when I read about all of this senseless destruction because I don’t understand why someone would want to do it or how they get satisfaction from it. I don’t know how people get satisfaction from breaking and entering either. And to destroy something beautiful? Inexcusable. Thanks for reading! You are so right — mindless and senseless. I don’t know if the intruder was looking for money or just being mean. But mindless nevertheless. Thanks for reading, Sue.